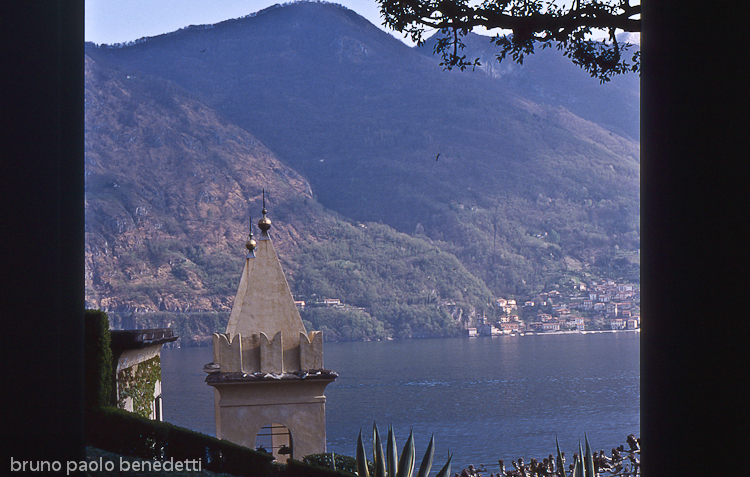 como lake, glimpse from inside villa balbianello, where was shot the movie star war II. Picture from Italy. View on lezzeno village through a window.